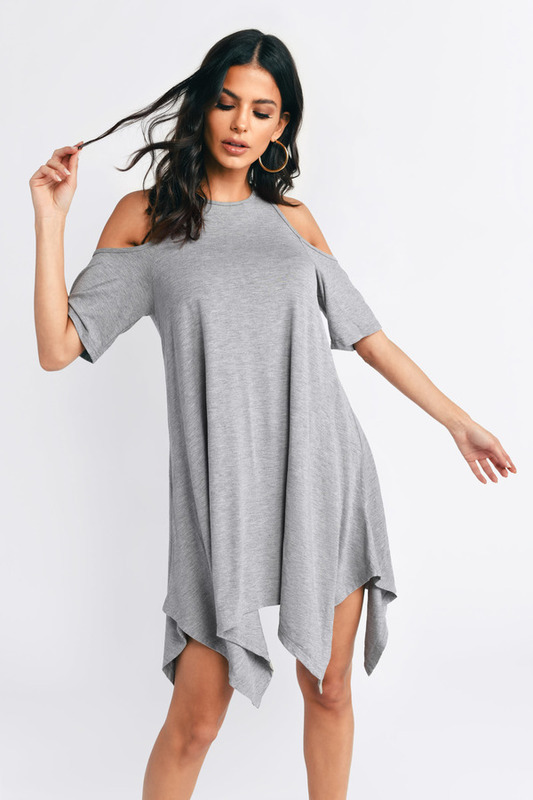 Check out Tobi's Alba Cold Shoulder Shift Dress Casual nights out or daytime dates, reach for the Heather Grey Alba Cold Shoulder Shift Dress. With edgy cold shoulder cut outs, a criss cross back and asymmetric hanky hem, this stretch rayon knit shift dress has all the attitude you need. Count on this cold shoulder dress as you countdown to Friday. 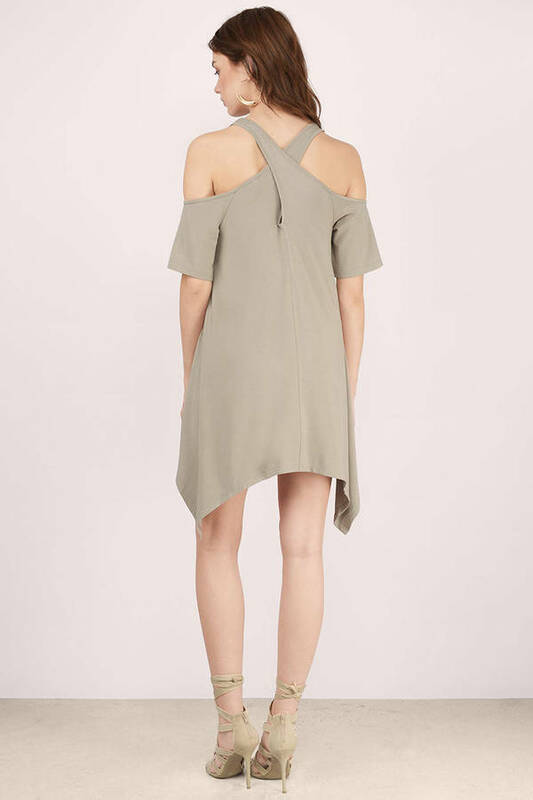 Casual nights out or daytime dates, reach for the Taupe Alba Cold Shoulder Shift Dress. With edgy cold shoulder cut outs, a criss cross back and asymmetric hanky hem, this stretch rayon knit shift dress has all the attitude you need. Count on this cold shoulder dress as you countdown to Friday. 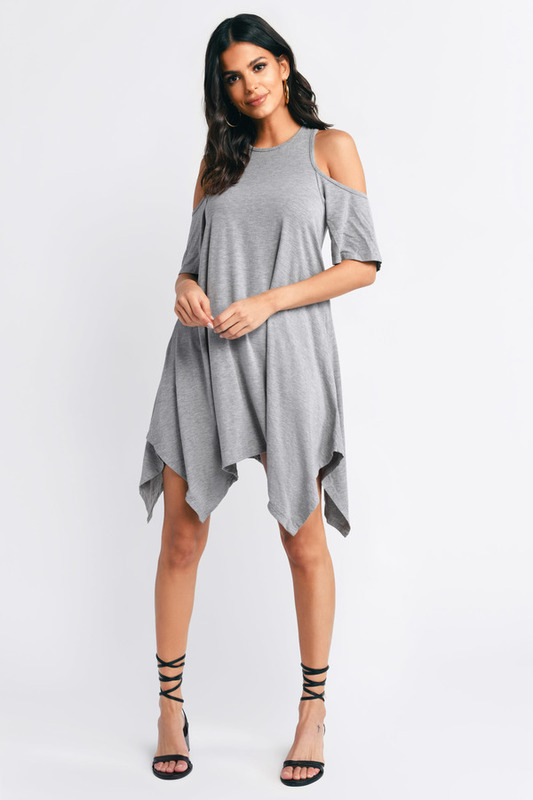 Casual nights out or daytime dates, reach for the Heather Grey Alba Cold Shoulder Shift Dress. 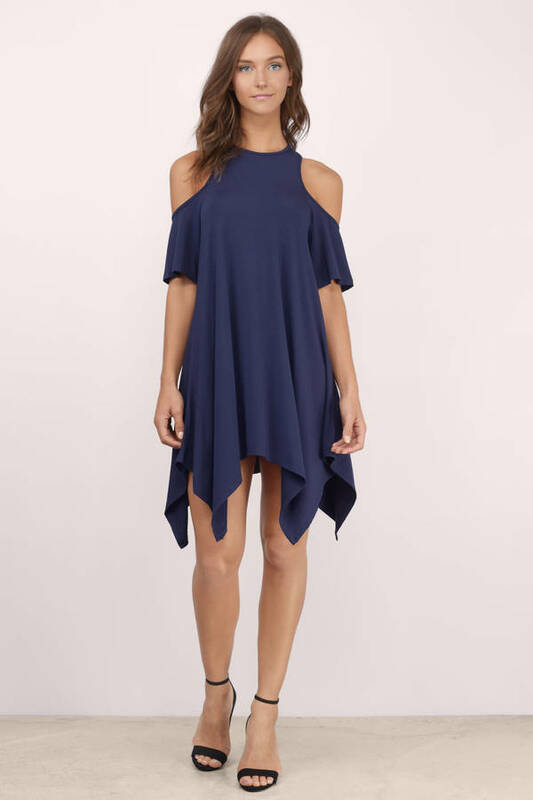 With edgy cold shoulder cut outs, a criss cross back and asymmetric hanky hem, this stretch rayon knit shift dress has all the attitude you need. Count on this cold shoulder dress as you countdown to Friday. 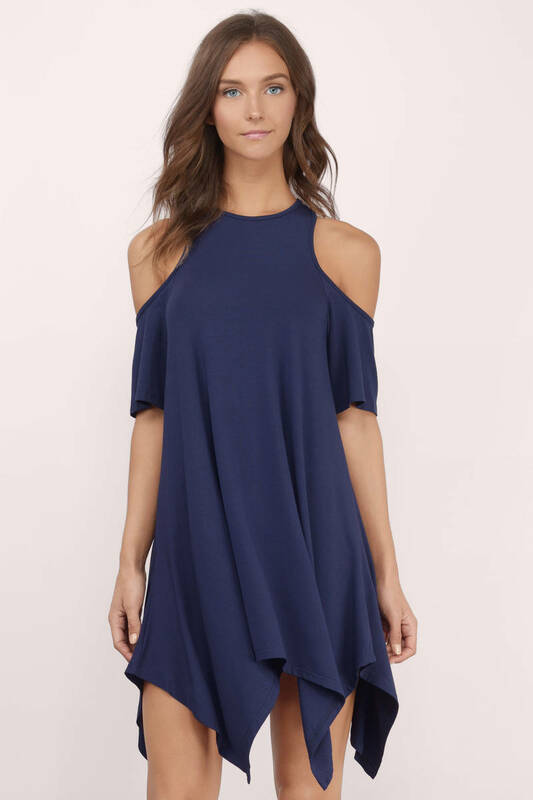 Casual nights out or daytime dates, reach for the Navy Alba Cold Shoulder Shift Dress. 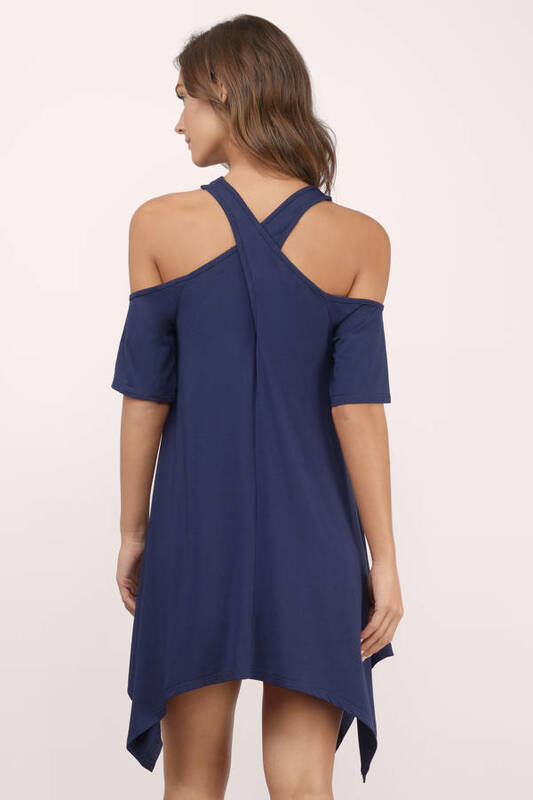 With edgy cold shoulder cut outs, a criss cross back and asymmetric hanky hem, this stretch rayon knit shift dress has all the attitude you need. Count on this cold shoulder dress as you countdown to Friday.